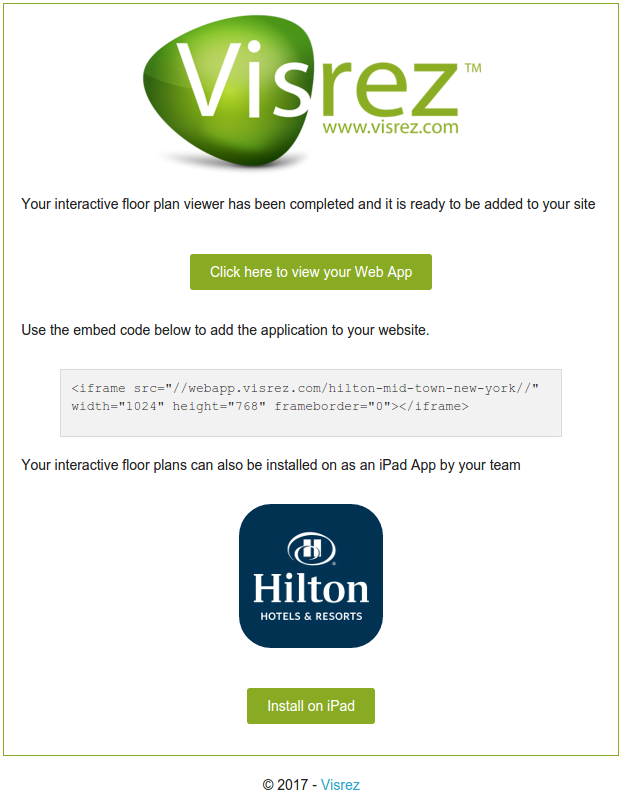 Visrez interactive floor plans allow users to navigate between floors and meeting spaces from a unique perspective. This product enables users to ‘remove the roof’ of a building and navigate inside the event spaces, selecting set-up styles and capacities in Virtual Reality. 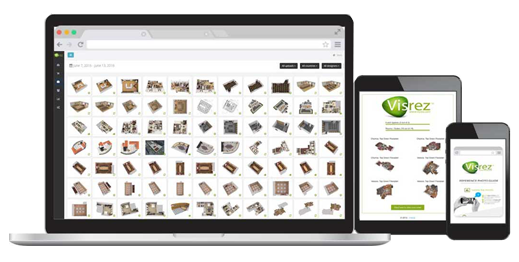 If you have ordered the interactive floor plan viewer for your meeting spaces this can be accessed under the Interactive Tab in the top menu. 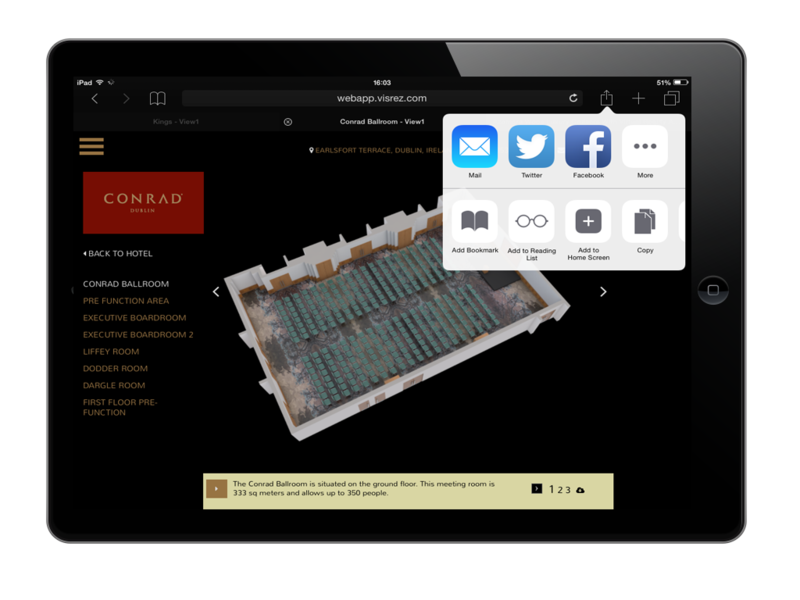 The interactive viewer is best viewed at 1024 x 768 when embedded in a website. 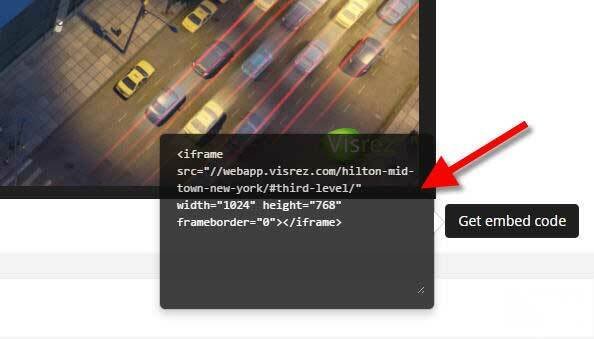 Clicking on the Get Embed Code will display the embed code which allows you to add the code to your website. Once the code is installed in your website changes will appear automatically when updates are carried out. 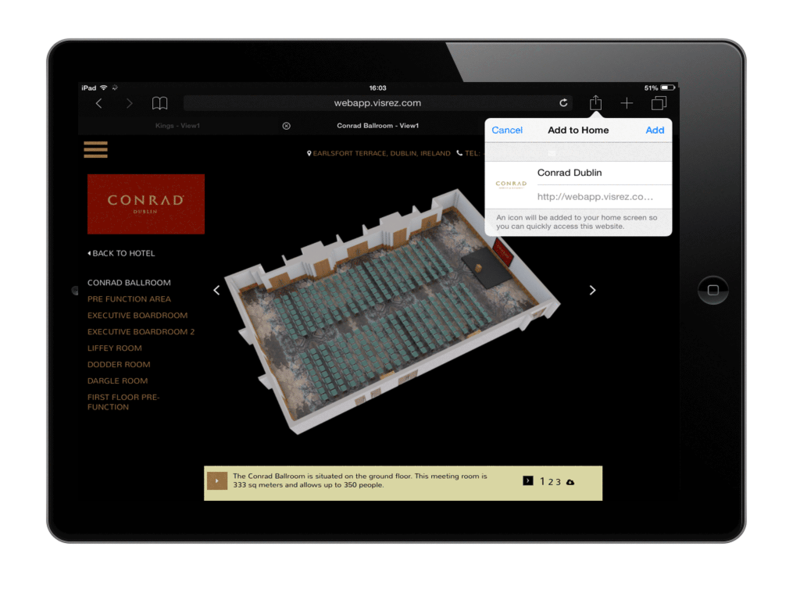 To install the viewer on an iPad tap the ‘Add to Homescreen’ button to install onto the device. 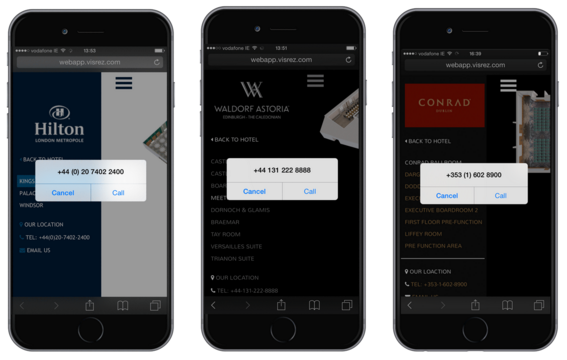 On a phone the main menu is hidden and users can swipe through the rooms by hand and use Tap to Call function to contact the hotel.